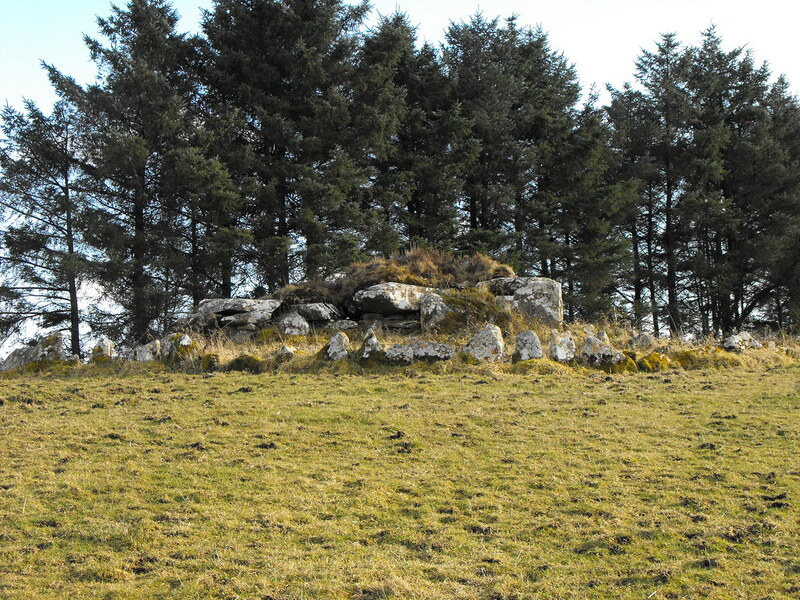 The Standing Stone: Baurnadomeeny, Wedge Tomb, Co. Tipperary. 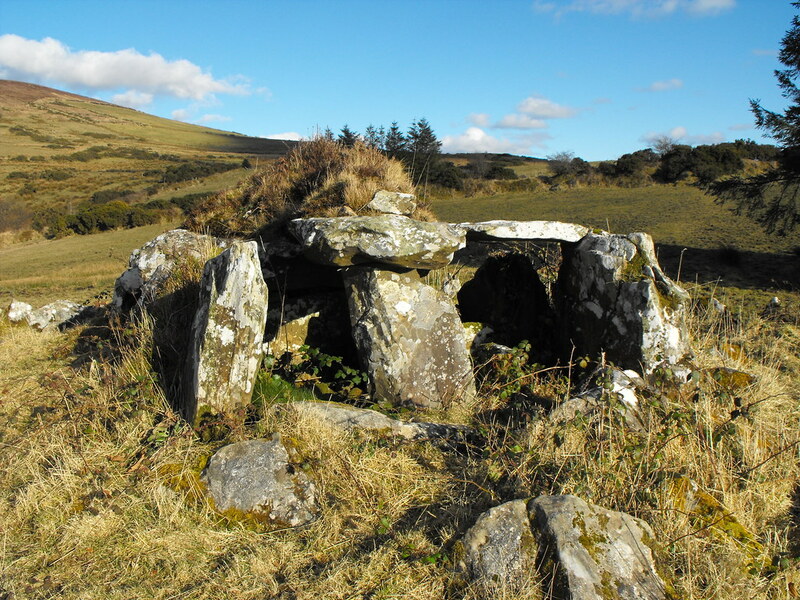 Baurnadomeeny, Wedge Tomb, Co. Tipperary. 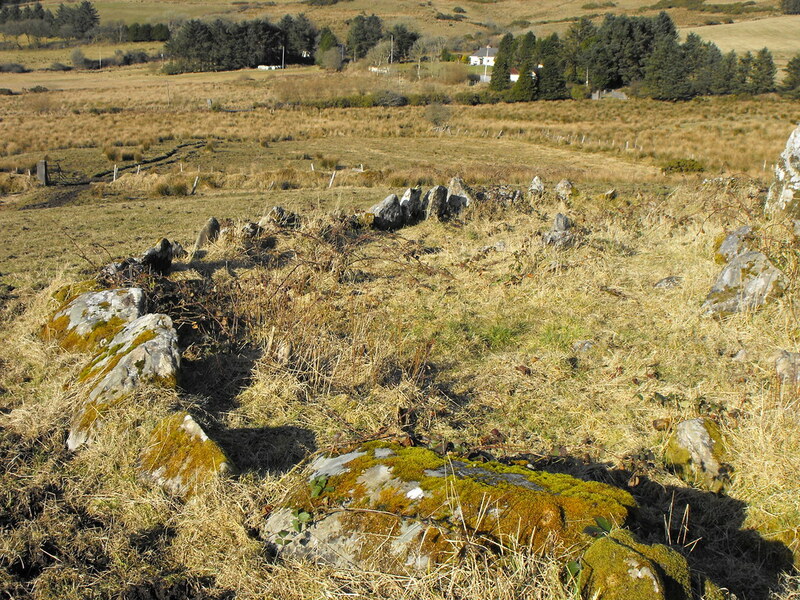 Location – Just North of Rear Cross, it’s signposted and is a field in from the road. 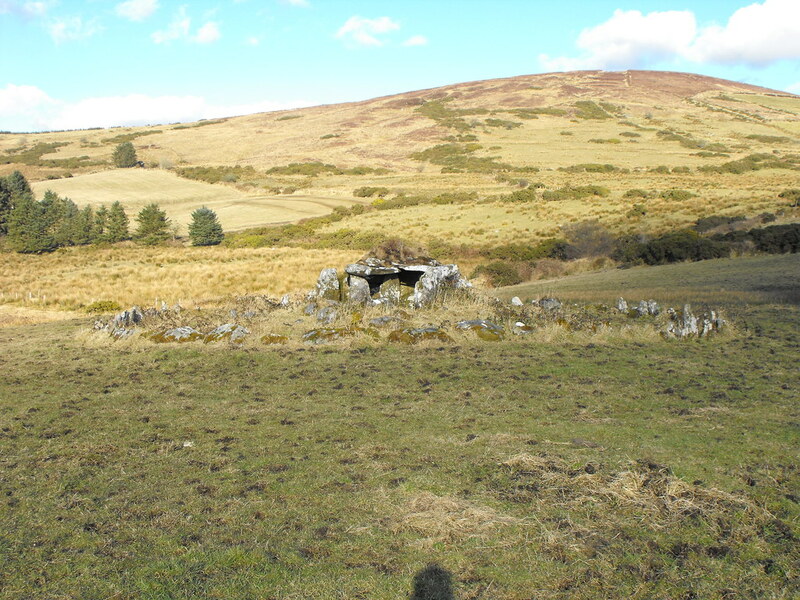 Description and History – This ranks amongst one of my favourite sites in the country and I can’t understand why this is not a much more visited site and much more looked after. It’s not neglected by any means but could do with a little care and attention. 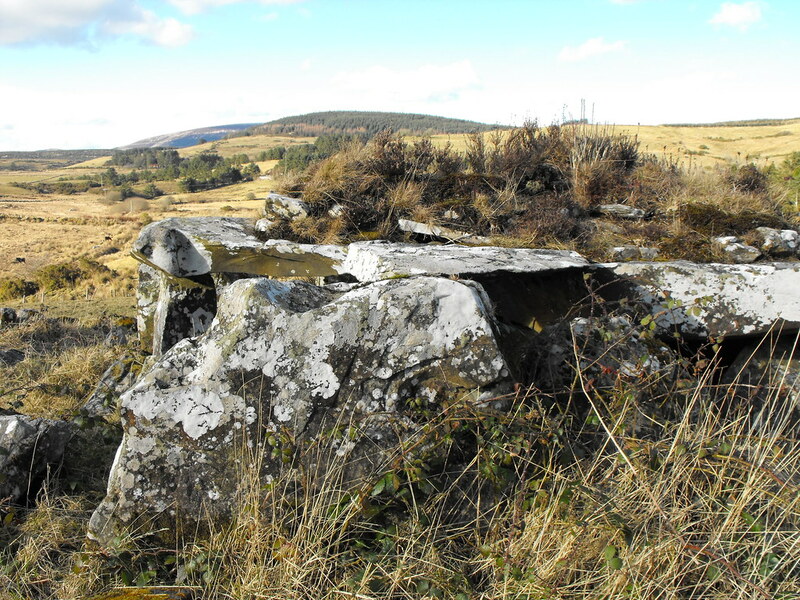 Again connected with Diarmuid and Grainne this tomb appears to have multiple alignments with different chambers aligned with different important sunrises. 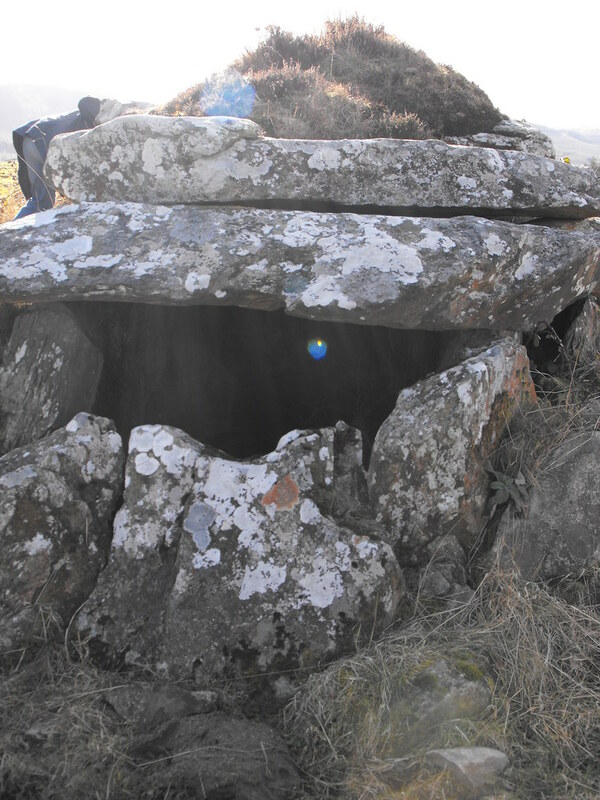 The tomb is surrounded by a double kerb, 16m and 11m in diameter respectively. 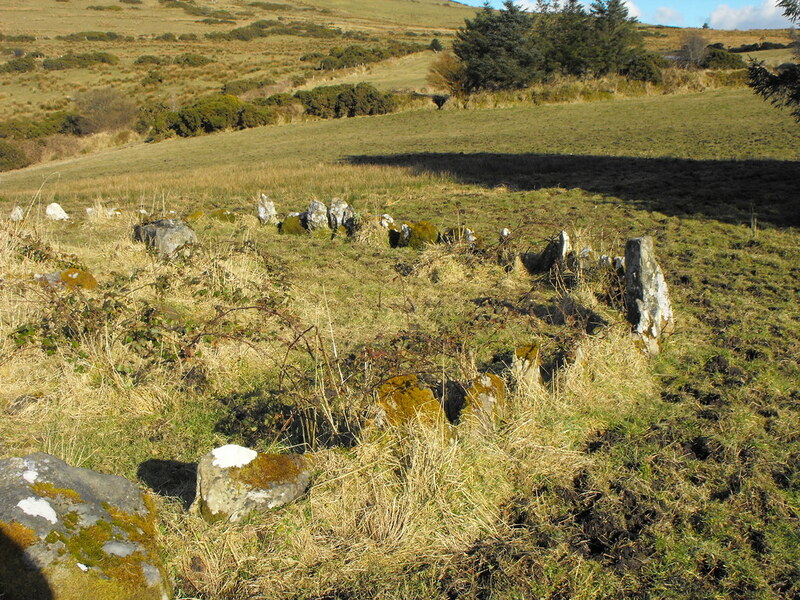 The outer kerb is a largest but no stones stand above 1m in height. 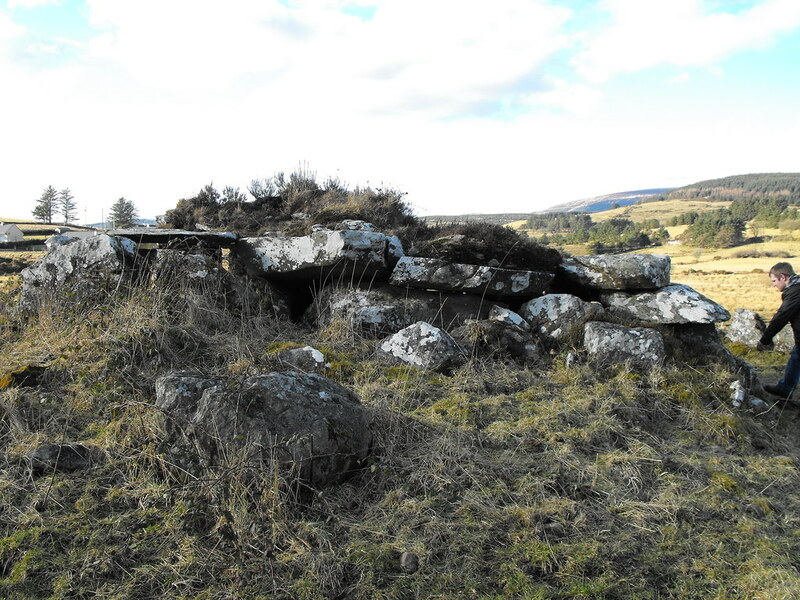 The tomb is very long, roughly 5m long with a septal stone creating the portico and main chamber. 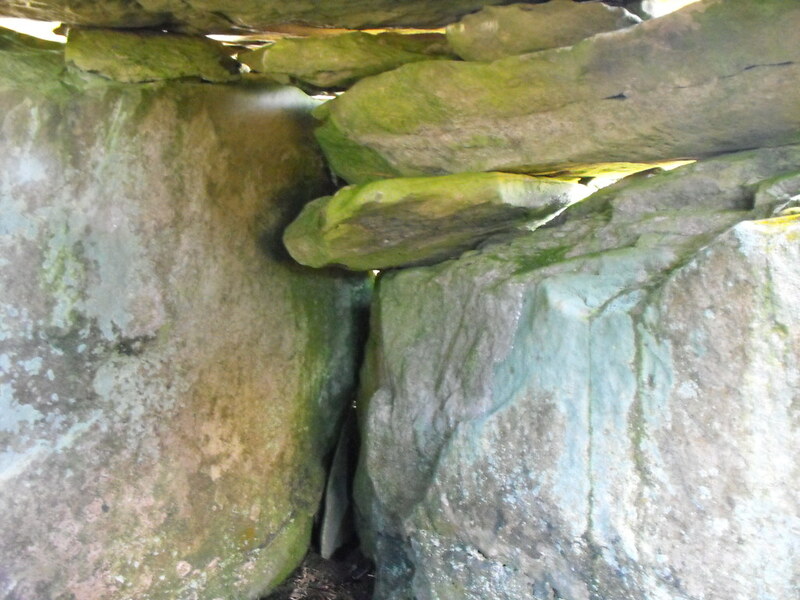 The capstone at the front appears to be carved on the inside to create a small channel. I wonder if this allows the sun to flow into the chamber. There are also some small carvings, of no particular pattern, on some of the inner stones, but I have not been successful in locating these. 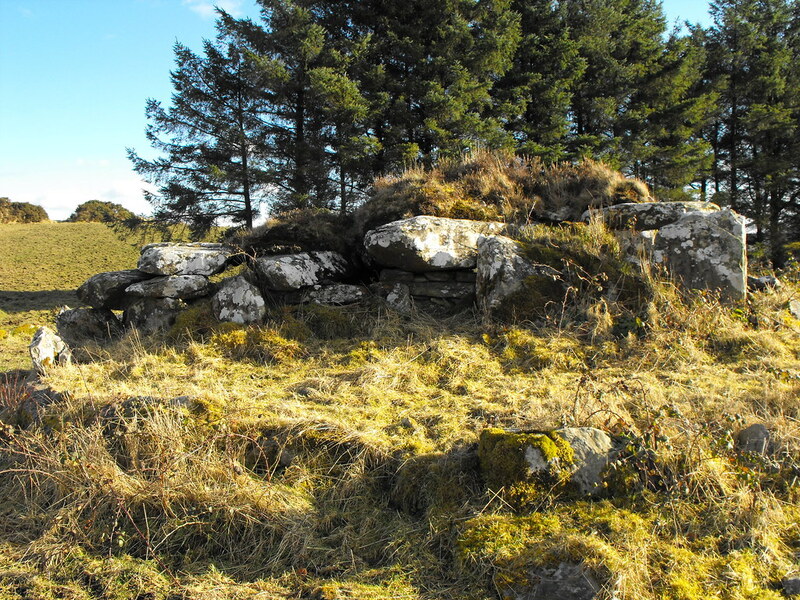 Some cairn material remains on top. 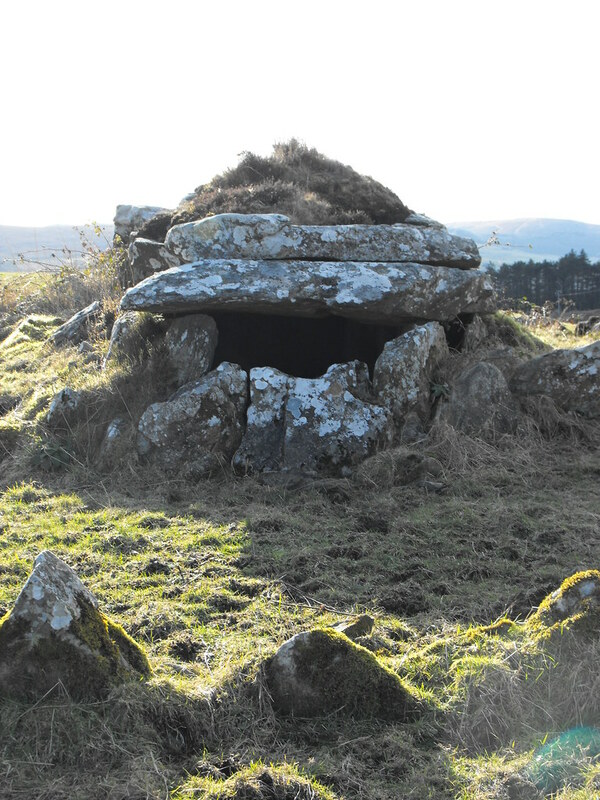 This is a fantastically preserved tomb and really well worth traversing the muddy field to get there. 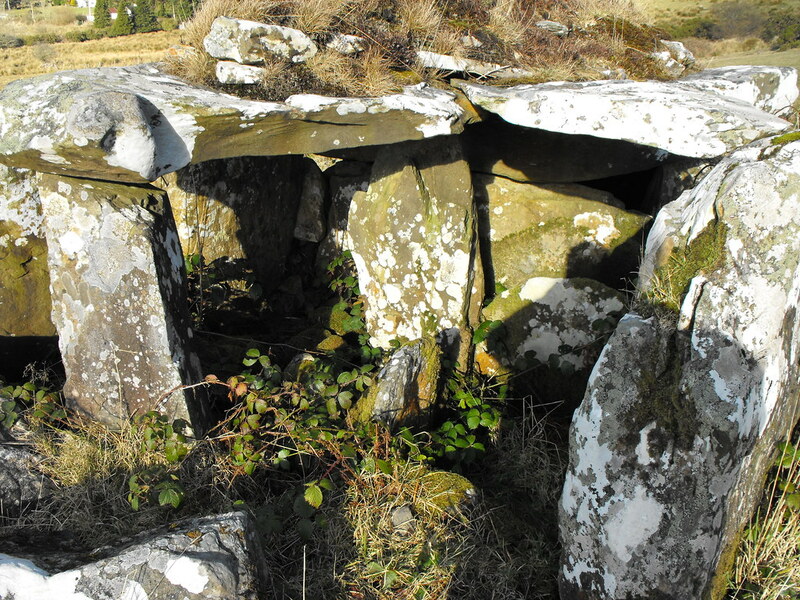 Difficulty – A little tricky as the field before the tomb is very muddy and after rain it is prone to flooding. Wellies are a must here. 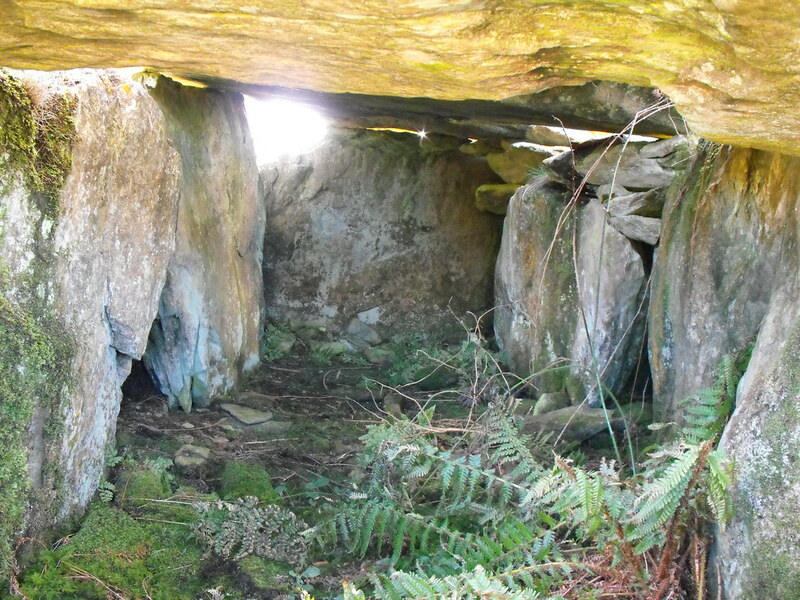 For more Neolithic Tombs, click here. The rear of the tomb. 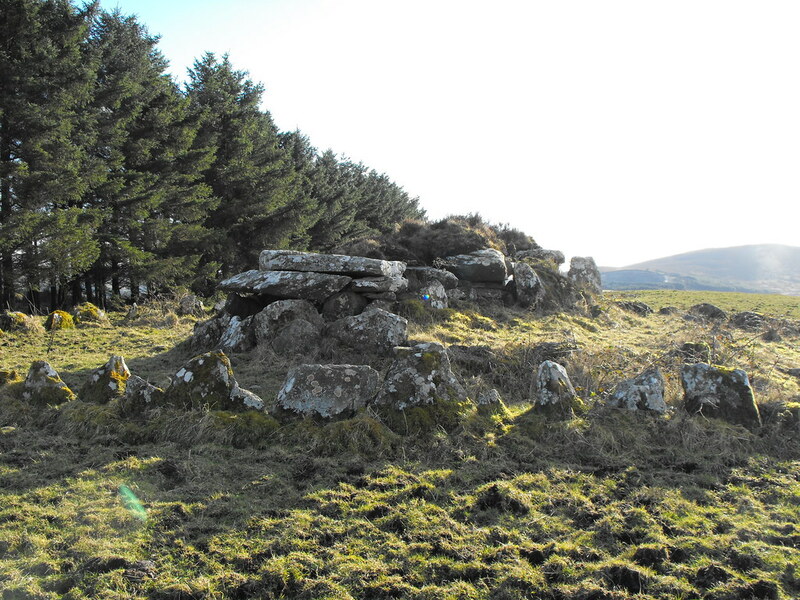 It's rare to see some of the cairn material left on top. Small stones used in construction to get the right height of the stones. 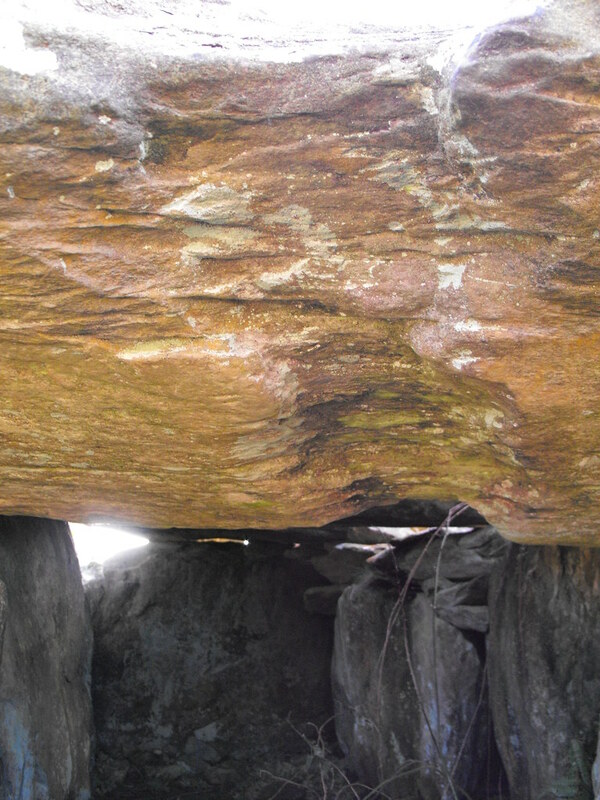 Groove in the underside of the capstone. Dec 2017 there is a padlock on the gate to get in to the field and zero signage. With Irish no trespassing laws this is a no go, currently.